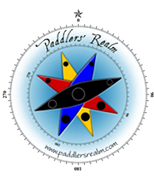 I’ve joined Paddler’s realm for kayak instruction and guided excursions. I’ve been thrilled with both. Ryan Collins is a great guide, and a gifted instructor. His expertise in kayaking, navigation, safety, and local knowledge of Prince William Sound run deep. He is a master at logistics, and will go the extra mile to develop the trip or class that suits your time, needs and experience. Ryan’s passion is to spread the love for kayaking and the Prince William Sound. Whether you want a multi-day kayaking/camping trip, a multi-day trip sleeping on a boat in order to kayak more of the Sound, a basic day trip, or instruction, check with Paddler’s Realm first. You won’t regret it. This entry was posted on February 22, 2016 by ryan.